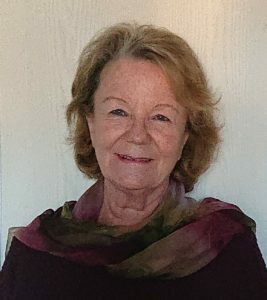 Lena Nilebrant, Licensed Mental Trainer, Certified ArtTherapist & Professional Lifecoch Coach, L-Qualifications Development for Individuals & Teams, was Business Manager at GIU, Gothenburg International University, which Lars-Eric Uneståhl started in 1991 in Gothenburg. The company changed its name to GIU, Gothenburg International Development Center after some years. For many years, Lena has been a supervisor for courses in stress management and mental training for companies and schools – she has also had many assignments as a jobseeker coach. Lena has then 2001 combined mental training and art therapy (image therapy) in workshops for individuals and groups. By meeting yourself in color and shape during relaxation, your inner communication becomes clearer to you. In the creative creation process and the living encounter between you and the image, both in words and without – you develop as a person. Use your inner resources to create your life! Creative processes are an important stretching for the brain! They are also healing, playing and healing. The brain wants fun! This hands-on, creative workshop combines Mental Training with visual Art Therapeutic exercises and coaching. We’ll focus on topics surrounding our Present circumstances and then build images of Future outcomes. Our thoughts about the Present and Future are expressed through exercises involving visual imagery using drawing materials to create images with line, shapes and colors. By using our inner resources and active imaginations, we’ll expand our consciousness through creative processes that are so important to healthy cognitive functioning in Mental Training. The goal of this workshop is to become aware of new insights about the Present and Future through the creative, expressive process of Therapeutic Art making. Participants will accomplish this through dynamic and playful exercises. You’re welcome to join us for this unique and fun experiential workshop!